We believe that quality should be a company's number one priority. Here at Green Boys Landscapes it is at the top of our list for everything that we do. It all starts with educating every one of our team members on how to complete their job exceptionally and continuously seeking better ways and more knowledge. 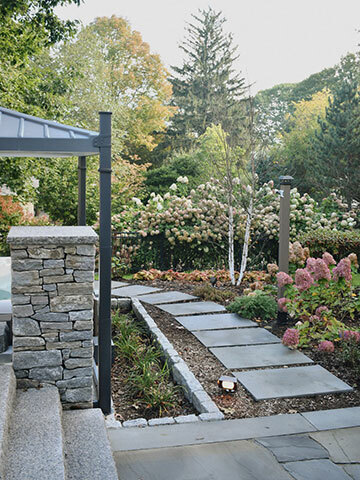 Whether it is designing landscapes that coincide with the existing elements of the space to create a harmonizing atmosphere, to installing the project with proven industry methods and exceptional customer service throughout, our team does everything we can to make your experience with the landscape professionals at Green Boys Landscapes unlike a relationship you have ever dreamt of having with a contractor regardless of the field. Too many companies get industry certifications and licenses as a marketing ploy. At Green Boys Landscapes it is not our goal to collect as many certifications as possible only to throw that information aside, cut corners and get through the job as quickly as possible. No. Here we take what we learn from the various programs, seminars, conferences and workshops we are involved with and apply it in the field. No cutting corners. We regularly reiterate these things to ensure that no stone goes unturned. Whatever we design, install and maintain we guarantee that it will maintain the high level of quality expected here in ten years as it does the day it was installed. To us the best way to do that is by doing it right the first time. We go into every project seeking perfection. Our Mission is to provide the best Landscape Maintenance & Construction Services within our service area by completing jobs to the highest standards and providing the customer with an unmatched client experience from the very first interaction to years after installation. We only service clients with whom we are best equipped to serve. Constantly seek improvement and always use the best materials. Hire expert craftsmen and develop new leaders through mentoring and training. Systemically manage our company to consistently deliver expert craftsmanship on every job.